Swine Flu: News, Protection, Treatments. The new viral strain of swine flu is called H1N1. 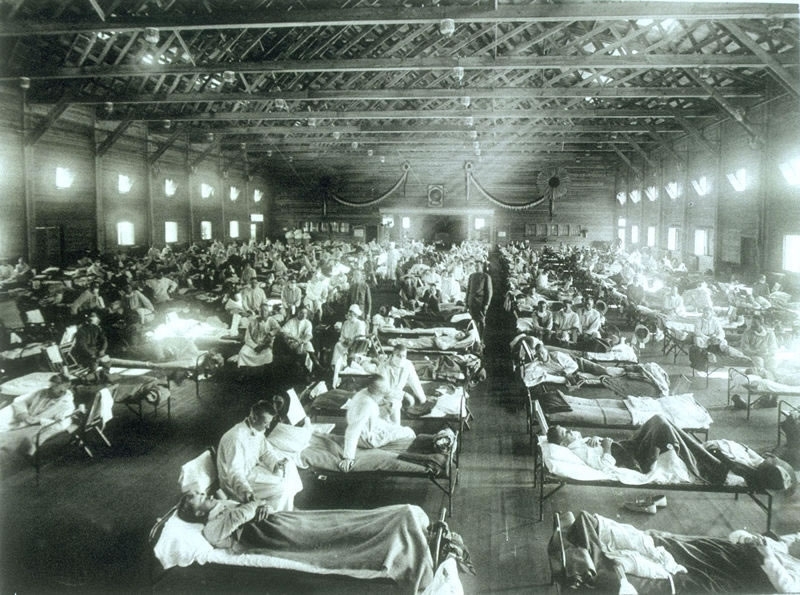 The 1918 pandemic flu was also H1N1. Pigs have been implicated in the emergence of new influenza viruses responsible for two of the previous century’s influenza pandemics, including the 1918 pandemic strain which spread to nearly every part of the world killing an estimated 2.5 to 5% of the human population – somewhere in the region of 50 million to 100 million people. The global community is hoping this does not turn into a pandemic. What can you do to allay your fears? Become informed about what it is, and what measures you can take to lessen your risk of exposure, and learn how to treat it in case you get it. On the origins of this virus, it seems likely that birds infected the swine with bird flu. This mutated the swine flu virus which spread among pigs. This was then picked up by humans in contact with the pigs and mutated into a human-carrying component. “It is a hybrid that resulted from a combination of four different viruses — one that typically infects people, one that originated in North American birds and two from pigs in Europe and Asia,” Anne Schuchat, director of the CDC’s National Center for Immunization and Respiratory Diseases, told the Washington Post. are listed on this google map. and San Luis Potosi, Mexico. Alternative news reports from on-site people in Mexico are illuminating the severity of the virus, as being much worse than the official reports. I work as a resident doctor in one of the biggest hospitals in Mexico City and sadly, the situation is far from “under control”. As a doctor, I realise that the media does not report the truth. Authorities distributed vaccines among all the medical personnel with no results, because two of my partners who worked in this hospital (interns) were killed by this new virus in less than six days even though they were vaccinated as all of us were. The official number of deaths is 20, nevertheless, the true number of victims are more than 200. I understand that we must avoid to panic, but telling the truth it might be better now to prevent and avoid more deaths. I’m a specialist doctor in respiratory diseases and intensive care at the Mexican National Institute of Health. There is a severe emergency over the swine flu here. More and more patients are being admitted to the intensive care unit. Despite the heroic efforts of all staff (doctors, nurses, specialists, etc) patients continue to inevitably die. The truth is that anti-viral treatments and vaccines are not expected to have any effect, even at high doses. It is a great fear among the staff. The infection risk is very high among the doctors and health staff. There is a sense of chaos in the other hospitals and we do not know what to do. Staff are starting to leave and many are opting to retire or apply for holidays. The truth is that mortality is even higher than what is being reported by the authorities, at least in the hospital where I work it. It is killing three to four patients daily, and it has been going on for more than three weeks. It is a shame and there is great fear here. Increasingly younger patients aged 20 to 30 years are dying before our helpless eyes and there is great sadness among health professionals here. I have a sister-in-law from San Luis Potosi state in Mexico and we were told that in San Luis Potosi there have been at least 78 deaths, just in that city alone, not 68 in all of Mexico, as is being reported. Schools have been closed until 6 May in this state and in other areas in Mexico. Also, many public venues are being closed, so this makes it more deadly and dangerous than has been stated. The CDC currently recommends that you cover your nose and mouth with a tissue when you cough or sneeze, wash your hands often with soap and water, avoid touching your eyes, nose or mouth, and try to avoid close contact with sick people. 3. Strengthen your immune system in any and every way possible. Get enough sleep. 5. Keep some antiviral herbs on hand in case of infection. Consider Chinese Herbs. 6. Nutritional supplements to bolster your health and immune system include: Vitamin C, Vitamin A and Bioflavanoids, Zinc, Oil of Oregano, beta glucan, and N-acetyl-cysteine. 6. Jim Humble’s miracle mineral supplement is said to cure Bird Flu, Swine Flu, AIDS, hepatitis A, B and C, malaria, herpes, TB, most cancers and many more of mankind’s worst diseases. 7. Colloidal Silver (oral, IV, and nebulized, with particle size 0-10nm and a Ag+ positive charge). Also administered as drops into eyes and nose. Brands: Sovereign Silver, Super Silver, Silver Lungs, Silver Gen, APAP etc. 9. Viruses cannot live in a body that is PH balanced. Most of us are on the acidic side, so try to get more alkaline foods in your diet. Eat your leafy green veggies. Watermelon and asparagus are two highly alkalizing foods. 10. Grapefruit seed extract (GSE), also known as citrus seed extract, is a liquid derived from the seeds, pulp, and white membranes of grapefruit. While there has been no scientific demonstration of efficacy, this extract has been claimed by some practitioners of alternative medicine to possess antibacterial, antiviral, and anti-fungal properties. 11. a Neti Pot = nasal irrigation. Can’t hurt to do this, either and might help, at least symptoms. I know that if Swine Flu is in my neighborhood I will be taking as many of these as I can get my hands on!